BEIJING: Six Chinese nationals were wounded in a bus shooting in northern Laos on Wednesday, the official Xinhua news agency said, the latest flare-up of violence affecting Chinese in the country as Beijing extends its economic influence in Southeast Asia. The victims included passengers and drivers of the bus, which was travelling from Kunming, the capital of China’s southwestern Yunnan province, to Vientiane, the Laotian capital, Xinhua quoted Chinese embassy officials as saying. 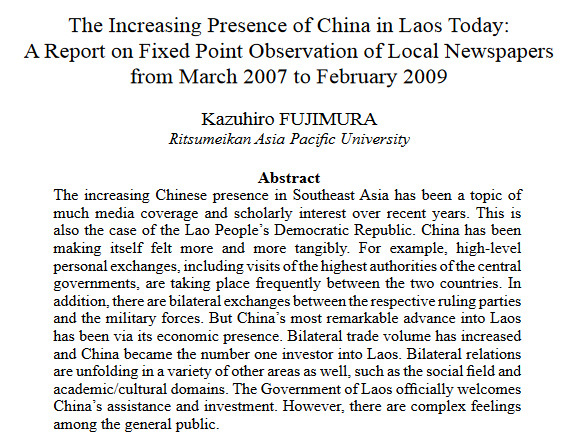 In the context of the ‘global land grab’, the Lao Peoples Democratic Republic has been identified as a hotspot for large-scale land acquisitions sought by capital strong foreign investors. However, in the rapidly commercialising agrarian landscape of northern Laos, other and more subtle forms of land acquisitions are also taking place. These are mainly pursued by smaller companies and private investors promoting cash-crops in contract-farming arrangements or renting agricultural land from farmers on short-term contracts; often with little or no initial involvement of the government actors. 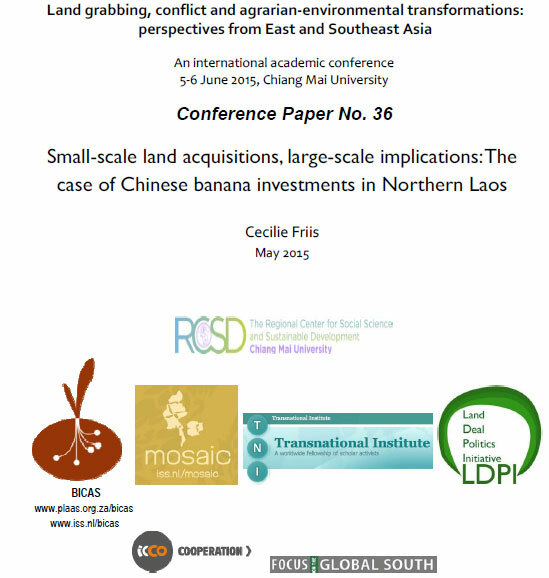 This paper investigates such ‘small-scale’ land acquisitions in relation to the recent boom in banana investments in Long District, Luang Namtha Province. Photo Credit: ALC (Japan), 2011. 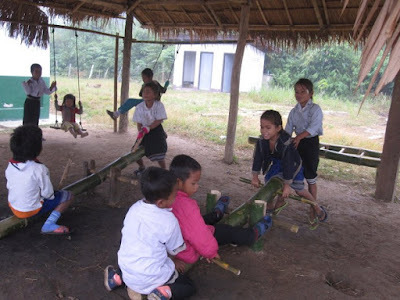 ທຳກິນຢູ່ຖິນລາວ ລ້ຽງປາສວຍງາມ. Lao Star's tv show Tum Kin U Tin Lao visits a pet fish farm in Laos. The fish here are bred not for eating but rather to be sold as pets - for example, koi and beta fish. 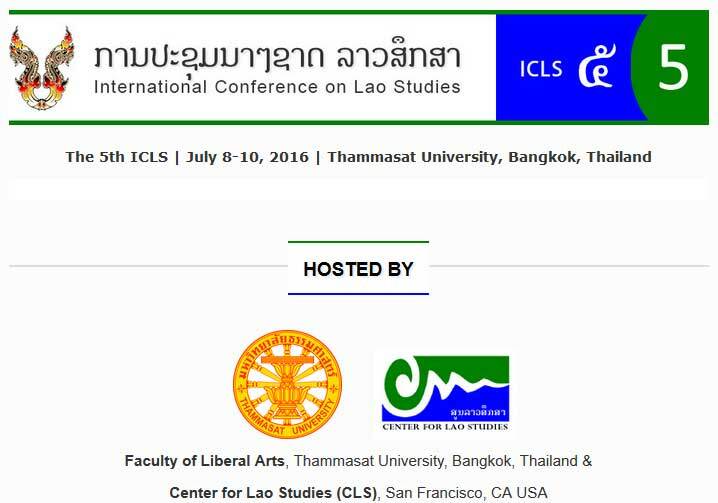 Event date was January 29-31, 2016. I was going through my picture archive of when I visited Laos in 2013. Sure enough, I found another photo I hadn't shared online yet. 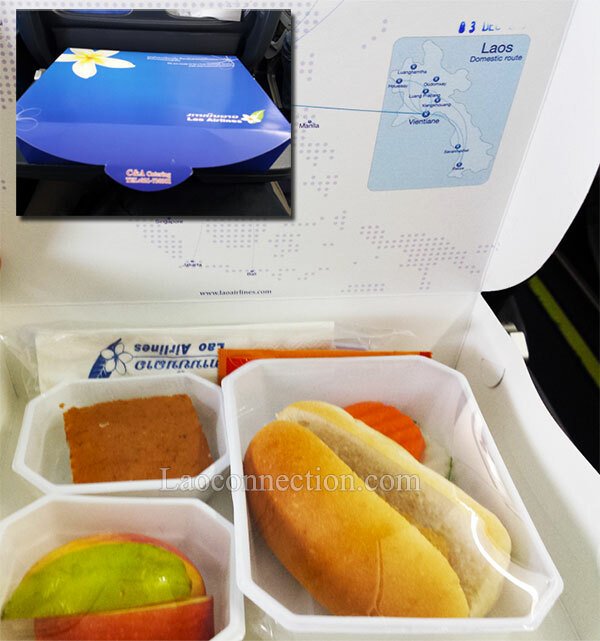 If you're curious to see what the meal was on the plane for my flight from Bangkok to Luangprabang aboard the Lao Airlines flight, here it is. Looks like a great movie with some very positive messages. All about love, relationships, family, trials, tribulations, and finding inner strength. Check out the trailer. In Lao language with English subtitles. VIENTIANE - Laos kicks off its Asean chairmanship Friday with an agenda-setting foreign ministers' retreat in Vientiane, its capital on the east bank of the Mekong River. Analysts say this year could be a coming of age for the "lower-middle income economy", where poverty continues to be widespread, but which is one of the fastest-growing economies in the region. The year will culminate with the Asean and East Asia Summits in September - held earlier than usual because of the United States election in November. VIENTIANE, March 1 (Xinhua) -- The recovery of hundreds of millions of U.S. dollars in funds continues to exercise authorities in Laos amid the release of state and ruling party reports revealing fiscal misappropriations in the Southeast Asian state. More than 58 million U.S. dollars misappropriated from state and provincial budgets has been recovered so-far from some 378 million U.S. dollars disbursed, state-run media Vientiane Times reported.